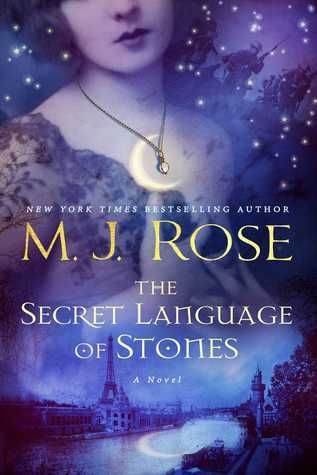 The Secret Language of Stones by M.J. Rose for review in July with France Book Tours. This is a bag of goodies that I received from a Jane Austen Darcy & Elizabeth Panel in Bethesda, which Anna and I attended. This bag of goodies is wonderful for more than one reason. Beyond the fact that I NEVER win anything, this bag includes my favorite peacock postcards, books edited by Anna, and a book edited by me! It also included chocolates, and believe me, they were delicious! In this ‘Pride and Prejudice’ novella, Elizabeth Bennet has known Fitzwilliam Darcy since both were very young. When she flees Longbourn and an unwanted suitor, her uncle and his father arrange a marriage between the two. Will Lizzy and Fitzwilliam agree to such a marriage? Will it keep her safe from a Peer who is determined to have her? Will this young couple be able to keep the promises they have made to each other? This ‘Pride and Prejudice” novel variation follows Fitzwilliam and Elizabeth Darcy through the first year of their marriage. Arranged by his father in the I Promise To… novella, their union saved Elizabeth from a persistent, abusive suitor. The couple has known each other for years and quickly come to realize their love for each other. However, not everyone is happy with the marriage, and trouble comes quickly upon them. Dealing with jealous ladies and scornful gentlemen in London as well as illness and injury at Pemberley, they grow together as a couple while Elizabeth regains the confidence she has lost. Decisions and Consequences, which I edited. Love Lasts Longest, edited by Anna. In the busy world of go-go-go, we often have our gadgets glued to us all the time. 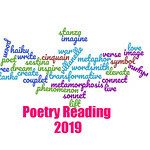 Via technology we can now take our books with us much more conveniently than before, but who wants their reading interrupted in order to return to the real world? Love Lasts Longest was written for the moments when reading a lengthier volume is unwise. Follow each story as we see Fitzwilliam Darcy and Elizabeth Bennet grow in love over and over again! A Sense of Obligation, edited by Anna. A chance, but meaningful, encounter in Netherfield’s library changes everything between Darcy and Elizabeth. As they rush to the altar, Darcy’s faulty memory may destroy their chance at domestic comfort before they begin. Knowing their obligations and no longer resisting their attraction, they forge a foundation of trust and respect. New feelings may not be enough, however, to overcome the misunderstanding which lays between them. Exploring the juncture of sentiment and reason, A Sense of Obligation, takes Darcy and Elizabeth on a passionate, humorous and introspective path toward happiness in marriage. No Cause to Repine, edited by Anna. When a simple accident is misinterpreted and threatens Elizabeth Bennet’s reputation, her fate seems sealed as Fitzwilliam Darcy’s wife. While the bride is resigned, the gentleman could hardly be happier until betrayals and schemes threaten to entirely take the matter out of their hands. Overcoming the plots before them will take all the patience, perseverance and collaboration they can muster, but a partnership requires truth. Self-discovery and trust await Jane Austen’s most beloved and willfully blind couple as they attempt to master their own destiny in life and love. Inspired by Jane Austen’s most alluring romantic couple, this modern adventure stars adaptations of characters from Pride and Prejudice and her other books. Elizabeth Bennet is hiding from life on her family’s decaying, historic plantation, afraid to live fully. Hindered by duty and obligation, even reluctantly agreeing to an untenable marriage, she cannot silence her conscience from crying out for her to flee- run – escape before it’s too late. Prompted by a cataclysmic event and the arrival of the enigmatic, attractive Fitzwilliam Darcy, Liz is thrust into a dangerous adventure where her spirit is released amidst international intrigue. However, Darcy carries his own deep stash of secrets as a premier government-sanctioned assassin working with an elite clandestine group named Obsidian. He’s spent a long, dark decade justifying his career choice while smothering his own conscience that beckons him back home to his ancestral Pemberley, its demons, and the man he was meant to be. He is steel, rock-n-roll, and Tennessee whiskey. She is orchids, opera, and peaches with cream. Thrown together they are physically and emotionally charged TNT, ready to explode! What if a tragic event involving a beloved sister shatters Elizabeth Bennet‘s confidence in her ability to accurately judge a person’s character? When she leaves Longbourn for Kent, Elizabeth’s heart is full of worry for those she left behind. She carries a secret that would ruin her family if exposed and she must deceive the ones closest to her to conceal the truth. Wow – that’s a haul! And what a beautiful bag of goodies from the Panel.